In the early 1900s, women workers in the U.S. and Europe began organizing to demand better pay, access to education and voting rights. Their movement resulted in the creation of International Women's Day, celebrated around the world on March 8. In 1987, the U.S. recognized the entire month of March as Women's History Month. Over the years, as women's working conditions have improved, the occasion has evolved into a celebration of women's achievements. And there are lots of reasons to celebrate. These days, women run many Vermont businesses and institutions, including the Agency of Commerce & Community Development (Secretary Patricia Moulton Powden), the state's largest utility, Green Mountain Power (President and CEO Mary Powell), and some of its leading statewide business organizations (Betsy Bishop, president of the Vermont Chamber of Commerce; Lisa Ventriss, president of the Vermont Business Roundtable; Andrea Cohen, executive director of Vermont Businesses for Social Responsibility; Ellen Kahler, executive director of the Vermont Sustainable Jobs Fund). Women are also at the helm of some of the state's largest media organizations: (Robin Turnau, president and CEO of Vermont Public Radio; Anne Galloway, editor and executive director of VTDigger.org; Pamela Polston and Paula Routly, cofounders and coeditors of Seven Days). Even more encouraging: A next generation is coming up behind them. Seven Days scoured the state for women 40 and younger who are emerging leaders in their fields. We sought a diverse sampling of individuals whose backgrounds and skills vary — from politicians to entrepreneurs to ... a hotshot librarian. This week, we shine the spotlight on them. Of course, women's work achieving equality isn't done. There's still a lively national debate about day care, family leave and equal pay. According to the U.S. Bureau of Labor Statistics, as of 2013, women accounted for more than half of workers in "management, professional and related occupations." But their full-time salaries were, on average, just 82 percent of men's. Correcting that imbalance will be up to women like these seven up-and-comers. Lean in and listen to what they have to say. Jill Krowinski never planned to run for political office. When she found her way into politics, her job was to get other people elected. But after a decade working behind the scenes, Krowinski is building her own political career — and a reputation as a bright, unflappable lawmaker. "She certainly has great potential," said former Vermont governor Madeleine Kunin. "She listens. She always follows through. She has a positive attitude." Krowinski, 35, lives in Burlington's Old North End with her husband, Tim Farbisz, and works as vice president of Planned Parenthood of Northern New England. Appointed in 2012 to replace Rachel Weston, she's in her second full term in the Statehouse. Krowinski is clerk of the House Democratic caucus, a position that puts her in the thick of legislative decisions and could lead to higher office. The time Krowinski spent toiling for other politicians was akin to taking graduate-level courses in politics. As assistant to Democratic House speaker Gaye Symington in 2005, Krowinski had a close-up view of the biggest policy decisions of the day. Later, as manager of Symington's unsuccessful campaign for governor, she got a dose of political reality. "You need time to build up what your message is, what your strategy is," she said. "It just all moved so fast." Now, as caucus clerk, Krowinski sees it from another angle. "I am learning so much about the dynamics that take place in committee rooms and how they come out onto the floor. In the speaker's office, I didn't see that," she said. Krowinski didn't consider politics until after graduating from the University of Pittsburgh in 2002. A friend urged her to apply to 21st Century Democrats, which trains eager young people in grassroots political organizing. Krowinski was sent to Springfield, Vt., to help Democratic legislative candidates. Her job was to make sure they knocked on as many doors as possible. "It's all about meeting voters where they are," she said. By the time she was done, Krowinski was hooked on politics, and Vermont. She went on to work for more Democratic candidates: as field director for Peter Welch in his successful 2006 campaign for Congress, managing Symington's 2008 run for governor, and as executive director of the Vermont Democratic Party. Krowinski still didn't think of herself as a politician. "The statistic you hear is that a woman needs to be asked six or seven times to run for office. It was really that for me," she said. "I really saw myself as in a role of supporting other people." Enough people asked Krowinski to take Weston's place that she listened. "I could hear Governor Kunin's voice [saying], 'If you're not at the table, you're on the menu,'" she said. As for what's on her political menu, she doesn't have specific plans. "It is such an honor being able to serve in the House," Krowinski said. "I just really enjoy the work." Time may open more doors, Kunin said. "She may not know how talented she is right now, until the opportunity opens up and people encourage her." Not long ago, Emily Piper was catering weddings and selling vintage clothing at Second Time Around. These days, the 28-year-old is a driving force behind efforts to keep young people in Burlington and to nurture homegrown startups. Piper earned an art degree from Alfred University in New York, and she entered the job market just as the recession hit. She returned home to Waterbury Center, which, she recalled, "I saw as a little bit of a failure." After a few months, Piper moved to Burlington and took on multiple jobs to make rent. In 2009, a graphic design internship at the Lake Champlain Regional Chamber of Commerce turned into a full-time gig. Six years later, she's still there, but her career trajectory has been anything but flat. 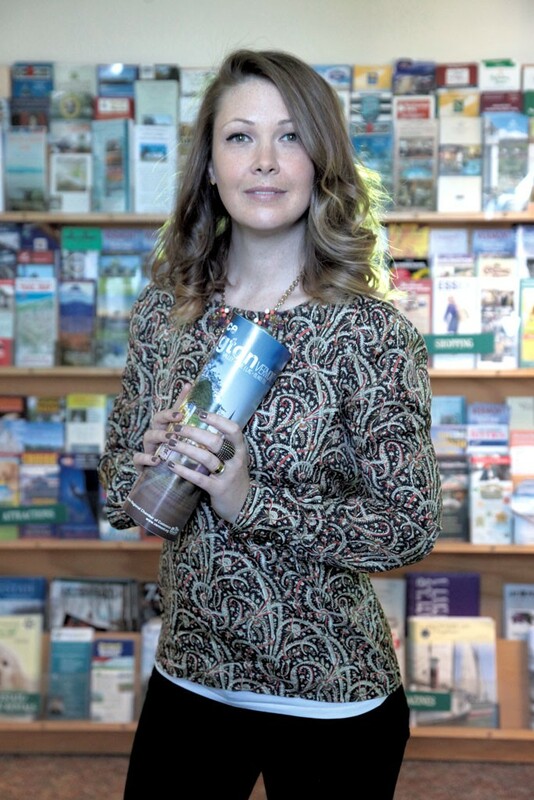 After about a year, the poised and rapid-talking Piper took over as director of Burlington Young Professionals, an affiliate of the Chamber. In that role, she puts on networking events, "celebrity CEO" talks and seminars for the Queen City's young workforce. During the summer, she organizes golf tournaments, kickball games and outings that benefit local nonprofits. Participation in BYP has swelled in recent years. In early days, its seminars attracted maybe 20 people; now they're capped at 60. The organization boasts more than 500 members. Two years ago, Piper undertook another project with BYP board member Nick Grimley that would come to be called LaunchVT. * The business-pitch competition gives cash — $30,000 for the winner this year — and mentorship to aspiring entrepreneurs. It's helped nurture several prospering startups, including internet marketing service Localvore Today, parents' social media service Notabli and IrisVR, a software company that leverages virtual-reality technology. Sara Byers, CEO of Leonardo's Pizza and a chamber board member, said, "It was unfathomable to me to see what Emily and Nick were able to create in a year." Lee Bouyea, managing director for FreshTracks Capital, who also serves on the chamber's board, is similarly effusive about Piper's contribution to the local economy. He noted in an email, "These initiatives have been critical factors in broadening and strengthening the chamber's reach into numerous new sectors, companies and key players in the Vermont economy." Piper seems surprised by the success she's had. About LaunchVT, she said, "We've been able to raise an unbelievable amount of funds." Still, she's not settling in. Piper wants to keep raising more capital and would like to be able to support six or more companies each year rather than one or two. Another goal: to become a more forceful advocate for young professionals on issues such as housing costs and student debt. Pointing out that she's often the only young female sitting on economic development panels around the state, Piper said she wants to encourage her peers to speak out more. "I hope we can have a stronger voice and a credible one," she said. "We're not just young professionals that want to get a great microbrew." When Becky Fu, 32, left her native China for Vermont, she figured she'd stay a year, tops. A recent graduate of a law school in Guangzhou, she enrolled in a one-year licensing program at Vermont Law School in 2011 to study for the bar in the United States. Her plan was to return to China and practice energy law. "The plan has changed," admitted Fu with a smile. Four years later, she's still in the Green Mountain State, and she left behind a legal career to assist Vermont companies in navigating the complicated world of foreign trade. Last year, Fu was promoted to manager of international trade at the Vermont Agency of Commerce & Community Development. While she's reluctant to speculate too much about what the future will hold for her, she said she's happy to call Vermont her home base in the United States. Last year, Vermont exported $3.6 billion worth of goods. Canada tops the list as the state's No. 1 trade partner, followed by Hong Kong, China and Mexico. As part of her job, Fu helps Vermont companies attend international trade expos, and advises companies that are interested in but daunted by the process of exporting goods. Last week, for instance, she weighed in with advice for an ice cider company that wants to export to Japan and needs help jumping through the hoops. Fu also runs "export hack" trainings for Vermont businesses; so far, 14 have gone through the program, with another five slated for the spring. "She really wants to do well by businesses," said Lisa Gosselin, the outgoing commissioner at the Department of Economic Development. "She takes a great amount of pride in seeing a business succeed." Fu is most proud of her work on a federal grant application, pulled together on short notice, that funneled $163,000 into Vermont to help educate businesses about exporting and building the global market for their goods. Lawrence Miller, who headed up the ACCD prior to working on health care reform for Gov. Peter Shumlin, describes Fu as a creative thinker who is dedicated to her work — and "overall, just very effective." Fu played a critical role as a translator on the trip that Miller and Shumlin made to Vietnam and China in 2013. Branching out into the international market is a challenge for Vermont companies, said Miller. "There's a lot to learn about currency transactions, letters of credit, doing business in another culture. There's a really big learning hurdle." The state's role, he said, is to facilitate that process and make it more manageable for fledgling exporters. That's where Fu comes in. Fu now lives with her boyfriend in Stowe — where, after years of trying, she finally had a "breakthrough" in learning to cross-country ski. She grew up in Hunan province and then spent 10 years in Guangzhou — a city of 11 million that's known as China's "southern gate" for its proximity to the ocean. In other words, as she pointed out on a frigid afternoon in Montpelier, "It never snows." Jennifer Barrett has wanted to be a prosecutor since she was a child growing up in Brattleboro. "I really liked arguing and I really liked proving my point and convincing others that my perspective was better," she said. She didn't have to wait as long as many in the legal field to achieve her dream. Last year, at age 28, Barrett won election as Orleans County state's attorney. She is now responsible for two deputy prosecutors and all criminal cases in the Northeast Kingdom county of 27,000 people. Barrett studied computer and digital forensics at Champlain College, thinking the skills would come in handy in criminal investigations. 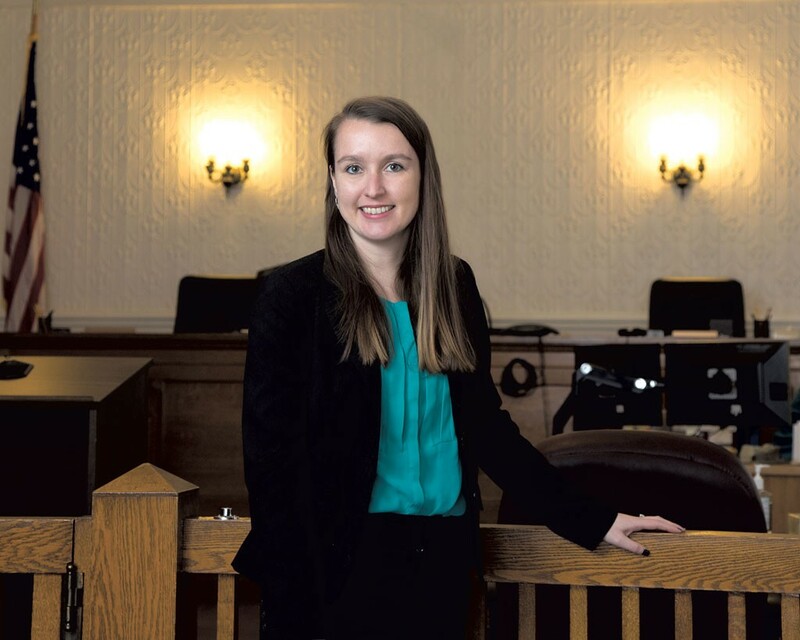 After graduating from the University of New Hampshire School of Law, she worked briefly as a clerk in the Orleans County State's Attorney's Office before landing a job as a deputy prosecutor in Bennington County. Last year, Barrett said, police officers in Orleans County encouraged her to come back and run against her old boss, Alan Franklin, for the top job. She did. And her campaign faced two immediate obstacles. Though she has family in the Northeast Kingdom, Barrett didn't have deep roots in the region. And there was her age — most state's attorneys are a decade or two older. "When I was knocking door to door, that was one of the first things people said: 'Oh my gosh, you're so young,'" Barrett said. "People would sort of laugh. But I found that, once people took a moment to listen to me and what I wanted to do for the county, it was something I could overcome." 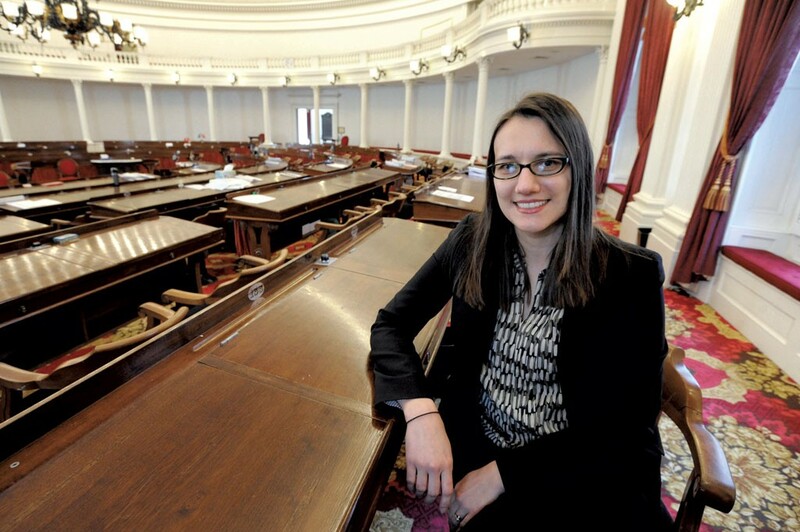 Barrett handily beat Franklin in the August Republican primary and two other challengers in the November general election to become the youngest state's attorney in Vermont. Since taking charge, Barrett has hired two deputy prosecutors and worked 12- to 15-hour days. A recent highlight was the day on which she and her deputies reached plea agreements with defense attorneys in 30 criminal cases, she said. Barrett has also been coordinating with police officers to improve the evidence-gathering process in domestic violence cases, to help ensure more convictions. Among her supporters is Newport Police Chief Seth DiSanto, who endorsed Barrett in the race against Franklin. "I think she's going to do a great job for the people of Orleans County," DiSanto said. "I think she's going to be an aggressive prosecutor. Age doesn't mean anything. I look at the quality and talent of the asset in front of me, not age." Now Barrett is putting down her own roots in the NEK: She and her fiancé, Vermont State Police trooper Lewis Hatch, are looking to buy a home in Orleans County. "I am excited to be here. No bigger goals as of now," Barrett said, before hastening to add, "That doesn't mean there won't be." Winemakers love to say that wine is made in the vineyard, rather than in the winery. Few Vermonters understand what that means better than Lincoln Peak Vineyard's Sara Granstrom, whose family transitioned from growing strawberries to wine grapes in the early 2000s. As a teenager and Middlebury College student, she worked alongside her father, Chris Granstrom, during her summer breaks, expanding the vineyard from a shoebox of obscure hybrid cuttings to 12 robust, rolling acres. Vermont's early vineyards took root less than two decades ago, which makes Sara Granstrom one of very few second-generation winemakers in an industry that is still finding its footing. Warmer months find Granstrom, who assists her father in the winery as well as the field, in the Lincoln Peak tasting room, welcoming visitors with a ready smile and a glass of wine. This varies in color from crystalline straw to pink to deep, heady purples. As at any winery, the tastings are paired with a side of tutelage — on the varietals, vineyard ecology and winery practices — and the 29-year-old delivers these lessons with an ebullient combination of fluency and poise. She's an apt advocate for the fledgling industry, which creates obscure wines with hybrid grapes unknown even to devoted oenophiles. 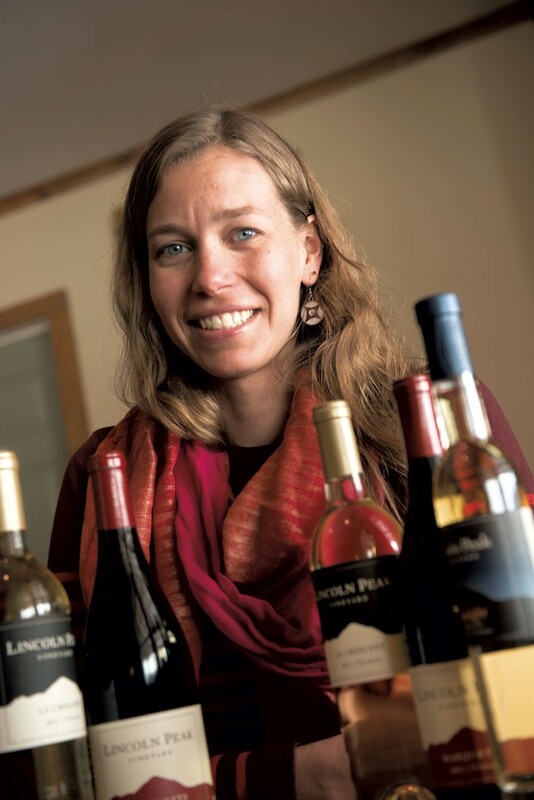 In 2013, Granstrom was elected president of the Vermont Grape & Wine Council, where she helped refocus the volunteer-run organization around its core mission to educate local winemakers and consumers on cold-climate winemaking. She also forged meaningful connections with state government and engaged the local agriculture, food and beverage, brewing and distilling communities. "[Sara] has taken the council so far in the last year," says Shelburne Vineyard co-owner Gail Albert, who was the council's first president and another Vermont wine early adopter. "She's done a tremendous job in terms of marketing and organizing." Albert calls Granstrom's leadership "a real boon for the group." Her marketing savvy launched the annual Valentine's Day Wine & Chocolate Weekend. Along with Artesano meadery co-owner Nichole Wolfgang, Granstrom also revamped the Vermont Winery Passport. Under her direction, 17,000 of the pocket-size booklets (which double as guides to 20 local wineries and ice cideries) found their way into thirsty travelers' hands. And last fall, Granstrom established the Middlebury Tasting Trail, which winds through five local tipplers including Drop-In and Otter Creek breweries, Woodchuck Hard Cider and Appalachian Gap Distillery. Why? "One of my main goals is to make Middlebury a destination for people who are interested in craft-produced products," she says. For smaller producers such as Appalachian, the promotion represents a significant portion of their traffic, which she views as good news for everybody. "We're not competing," Granstrom says of the Vermont wine industry — and the agriculture, food and beverage communities at large. "We're just trying to improve the industry. We're still growing the pie." Amber Billey is not your grandmother's librarian. Sure, the catalog and metadata librarian at the University of Vermont's Bailey/Howe Library delights in old and rare books. But in an age when card catalogs are truly dead, Billey, 32, is just as comfortable talking about net neutrality and digital initiatives as she is poring over dusty manuscripts. Vermont state librarian Marty Reid described Billey as smart, passionate and tech savvy. "We need people who understand not just how to use technology but really think about how technology drives dynamic change in libraries," said Reid. "We need many Ambers." Billey grew up outside of Pittsburgh, then headed to art school in Chicago. She eased into a career in library sciences through a gig at that city's Field Museum. There, Billey realized that the same skills she'd relied upon as a sculptor — accuracy, planning and systematic thinking — parlayed neatly into the behind-the-scenes work of catalog librarians. "I knew that I wanted to focus on cataloguing and information organization," said Billey, who studied library sciences in New York. In the internet age, she's especially interested in how libraries can expose the wealth of data they house to the "live open web." Billey's work at UVM is varied, but some of her favorite projects include digitizing Vermont's cultural heritage in order to make items like old books or maps available online. She's also working on ways to better preserve and share the scholarship of UVM professors and students. 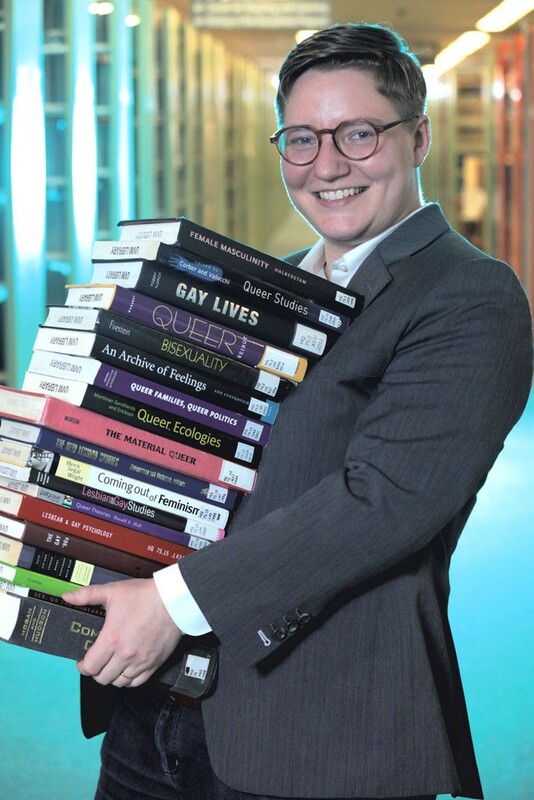 Billey is interested in the intersection between queer studies and library sciences, and is cowriting a book called The Queer Joy of Cataloguing. In 2014, Billey served as president of the Vermont Library Association, where she oversaw some major updates, including a website and logo redesign. But Billey's influence extends well beyond Vermont. She and her wife, Lydia Willoughby, started throwing a "Que(e)ry" party while living in Brooklyn to benefit libraries dealing in queer studies or archives; they've continued to host similar parties at national library conventions. Willoughby, a reference librarian at SUNY Plattsburgh, and Billey live in Winooski with their two dogs. They perform in drag and burlesque circles. When they didn't find many such performances upon moving to Vermont three years ago, they organized their own. Their creation, the Peep Show, happens "monthly-ish" in Winooski and Burlington, and so far has raised more than $5,000 for the Pride Center of Vermont. Billey appears as the drag king Quechee George at the events. She's been performing drag since her teenage years, when she first began to grapple with questions of gender and identity. Drag performers, she said, helped her realize "you can be masculine and be a woman." Sitting in a coffee shop at the UVM Davis Center, wearing hip glasses and a bespoke jacket, Billey said she's grateful that, personally and professionally, "I'm just able to be myself. I feel really comfortable expressing myself just as I am." While browsing in a store, many people impulsively buy a new piece of clothing or an eye-catching accessory. Shopping in downtown Middlebury five years ago, Emily Blistein decided she wanted to buy the store. A successful attorney and lobbyist who had worked for Vermont Legal Aid and Planned Parenthood of Northern New England, Blistein had been an outlier in a family of artists and designers. But that day, the Brattleboro native felt the pull of her creative roots. "Something started calling for me to do something else," recalled Blistein, 36. "I had absolutely zero experience in retail, but I had a strong background in design, and a love of small vendors and people who make things." When that store, the Gilded Cage, closed shortly after Blistein's visit, she left behind her old life and took over the space in 2010. Her boutique, Clementine, has quickly become an anchor in downtown Middlebury. Business was so brisk that Blistein had to move to a space next door that offered twice the square footage. Clementine also has a robust online presence. The boutique sells a constantly changing array of items, including handbags, notebooks, jewelry and towels, all made by local artists and designers. Increasingly, Blistein said, her role has evolved from storeowner to counselor for artists and craftspeople looking to turn their hobby into a career. It has transformed Clementine — and Blistein — into a hub in Middlebury's creative economy. "I tell my vendors' stories every day. I know of the exciting, daydreaming world it can be to make the leap," Blistein said. "And I also know the stresses on your family and finances. She also enjoys the social life her store provides. "People will walk in for advice, conversation or commiseration," Blistein said. "People won't stop by each other's houses anymore. But people stop by [here] all the time." 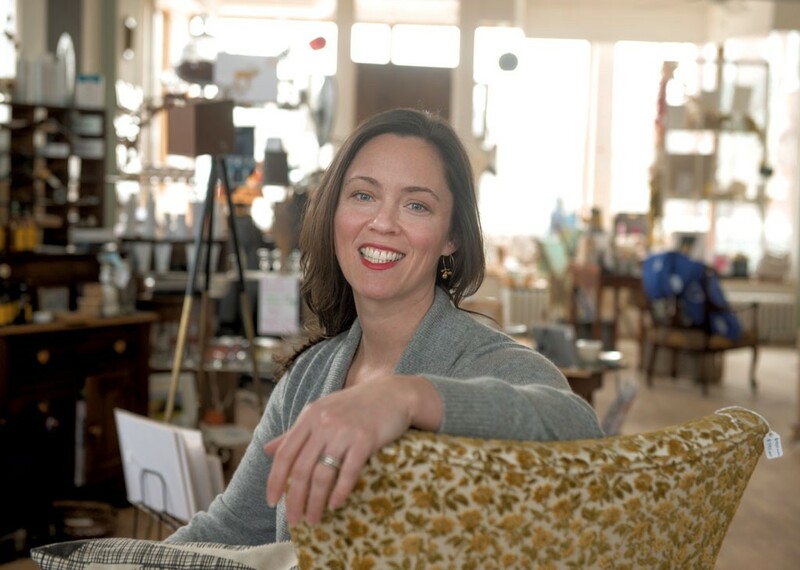 Karen Duguay, marketing director of the Better Middlebury Partnership, said Clementine's successful online presence has helped Blistein cope with the traditional slow period that many Vermont retailers experience in the winter. "Emily really tapped into something in her approach," Duguay said. "She is very successful in a bricks-and-mortar store and having an online presence that does really well. She's an asset to Middlebury that way. "We've heard of people being introduced to her products and her store online and then coming to Middlebury to visit [Clementine]," added Duguay. "That helps the town." Within weeks of launching Clementine, Blistein learned that she was pregnant. Her son, Julian, spent his early months as a "store baby," she said. She also has two young stepsons; free time is scarce. But that hasn't stopped her from starting another new business. With photographer friend Jessica Sipe, Blistein recently launched You're So Golden, which offers creative, personalized photo shoots for businesses looking to expand their social media and web presence. "Emily's got an amazing amount of energy and talent," Sipe said. "She's got a great eye and aesthetic. She has a vision." Correction 3/11/15: An earlier version of this article incorrectly identified Nick Grimley's position at Burlington Young Professionals; he is a board member. The original print version of this article was headlined "Women to Watch"